In many places, public participation in government is broken. Its standard mechanisms, such as public meetings and written comment periods, tend to attract input from the same, non-representative groups of people—including professional lobbyists, and residents with ample free time and a particular axe to grind. In Bogotá, this latter group of ‘usual suspects’ is sometimes called participologists or participa-crats. Hearing this small sample of constituents may ‘tick the box’ of consulting the public on policy. But in the long run, if this is the sole method of resident engagement, governments will be deprived of valuable insights, city employees and decision-makers will learn to devalue public consultation, and the larger public will perceive that the government is not interested in their concerns and experiences. All of this serves to widen, rather than narrow, the trust gap between residents and their government. Medellin blazed a trail with its MiMedellin co-creation website, which launched in late 2013. Although initial attempts by Bogota to replicate that success fizzled, a space was created to experiment with modernizing public participation. Bogotá Abierta launched in 2016 and its first task was to capture resident contributions to the city’s Development Plan--validating draft proposals and/or improving the Plan as a whole. The website initially posed 18 broad “challenges” related to the parameters and actions of the Plan, with very general questions. More specific questions on neighborhood improvements, access for residents with disabilities, etc. soon followed. “Bogotá Abierta is a bet to take advantage of new technologies in order to open a new channel of dialogue and participation for citizens,” said Germán Sarmiento, an advisor to the project. What sets the site apart is its system of positive incentives, designed to attract and retain users who might never join their community association or return a survey. Registered users respond to each challenge in a public message thread, and users can earn badges by posting messages and receiving ‘likes’ on their posts. For some challenges, users who offer the most popular solutions are given concrete rewards. Often, these awards are associated with the specific topic or issue area, to entice residents who are passionate and knowledgeable about that topic. For example, one challenge addressed coexistence and security around a major soccer festival. The authors of the leading ideas could receive tickets to Bogotá’s main soccer stadium (Estadio Nemesio Camacho El Campin) and a range of official merchandise from the national team, such as team kits and balls signed by the players. The platform is a project of the Institute for Participation and Community Action (IDPAC), an organ of Bogotá city government tasked with guaranteeing citizen participation and strengthening social organizations. According to city officials, the site’s purpose of broadening and modernizing participation in government is rooted in a larger mission of re-building social networks and a sense of citizenship, coexistence and ownership among city residents in the aftermath of a long civil war. During the site’s first two months, all “challenges” were related to the Development Plan, yielding a total of 2,300 contributions in which 50,000 Bogotá residents participated and approximately 8,000 registered users. Broad questions about improving livability and planning for the future still rank among the site’s most popular, with a transit-related challenge taking the top spot. Solicit guidance on specific events or projects, such as Car Free Day and a re-design of the city’s main website. Solicit fresh ideas on tackling wicked problems, such as women’s safety. Bring in communication products. Challenges have included re-branding the District System of Complaints and Solutions (SDQS,) suggestions for public-service announcements and regular photo contests. During Bicycle Week, 30 photo-contest winners had their photos displayed in large format as part of a special street gallery, and they were entered into a drawing for a folding bike. In each of these areas, the online platform is intended to supplement, not replace, traditional outreach and consultation processes. Online tools can seem like an obvious ‘innovation’ over in-person public meetings. However, if these tools are not designed and implemented carefully, they can reflect (or even amplify) the digital divide and provide a platform that is primarily for highly privileged residents. Designers should consider integrating web-based platforms with SMS, Interactive Voice Response, and other technologies that are more widely (but by no means universally) available to residents, and combining digital communication strategies with use of print, radio, etc. Some users will inevitably attempt to dominate an online community or game its rules, particularly if there are material rewards at stake. The greater the reward, the greater the incentive to boost one’s performance artificially, and technology provides increasingly sophisticated means to do this, such as automated bots. 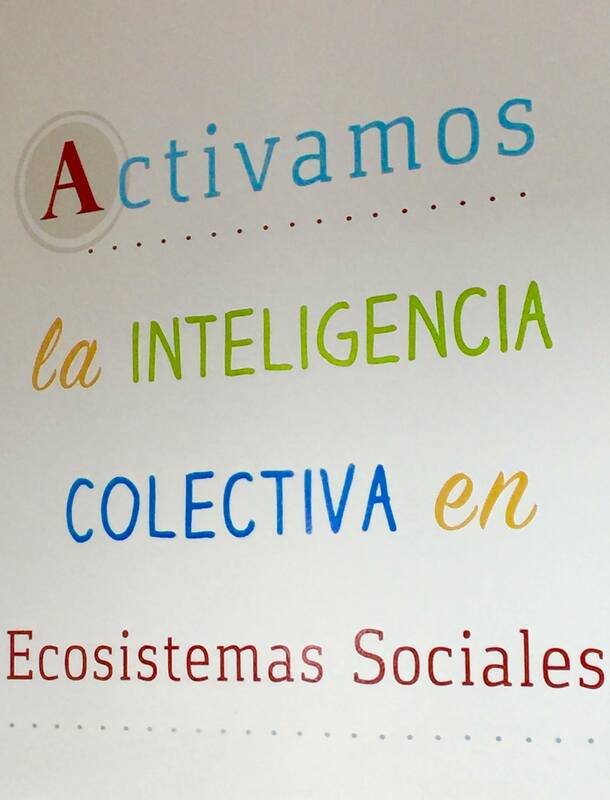 Bogota Abierta attempts to create a level playing field by limiting how often each user can log in, post, and leave comments and ‘likes.’ The administrators also set rules for each challenge. A 2017 photo contest, for example, allowed a maximum of three submissions per participant and stated that only the most-voted submission from any one user would be eligible for inclusion in the final exhibition. Like most online communities, Bogota Abierta has a very low barrier to entry—prospective users only need to provide a name, email address and password. This encourages user adoption and engagement, but it also allows participation from non-residents, potentially undermining the platform’s credibility among both users and policymakers. Any new process or mechanism that incorporates web- or mobile-based communication technology has to correct for how those technologies can replicate and exacerbate social divisions. This includes (but is not limited to) exclusions along gender, ethnic and linguistic lines as well as the exclusion of persons with disabilities. The Engagement Lab, an applied research department at Emerson College, has been developing new ways to incorporate technology in civic participation since 2011. Its Community PlanIt (CPI) initiative has players racing to complete missions and earn influence in the form of in-game coins, which can be spent on local initiatives. In 2016, CPI was the central model for Climate Smart Boston, a competition to generate citizen-sponsored policies to respond to the local effects of global climate change. CPI’s model has also been used for events in Detroit and Philadelphia. Helsinki has incorporated gamification into local governance, with a twist. Before engaging members of the public directly, City Hall employees play the “Participation Game.” They find an issue that needs better public input, engage in dialogue to pinpoint how public participation should be used, and design a participation strategy, drawing upon proven participation tools and/or developing new methods. Familiar game elements like playing cards and a physical board help ease tension and facilitate the process. In 2017, over 2,000 civil servants in the Finnish capital played over 200 rounds of the Participation Game. Rosario has worked to make Rosario Hábitat (RH)—a city-wide initiative that improves infrastructure, establishes social services, and runs work programs—more accommodating to citizen input and needs. For instance, one plan to widen and brighten streets and alleyways faced suspicion and resentment from residents, as it would require seizing property and displacing some residents. In its participatory mechanisms, RH incorporated lessons from game design: participants were tasked with allocating new city blocks and they needed to operate under set constraints, like lot size and number of inhabitants; exercise creativity by coming up with new constraints; and collaborate to reach mutually agreeable outcomes.